SEB has, in cooperation with the Danish venture capital fund SEED, signed a contract with Danish fintech company Cardlay about an investment of 30 million Danish kronor. Cardlay specialises in innovative and market leading payments solutions. 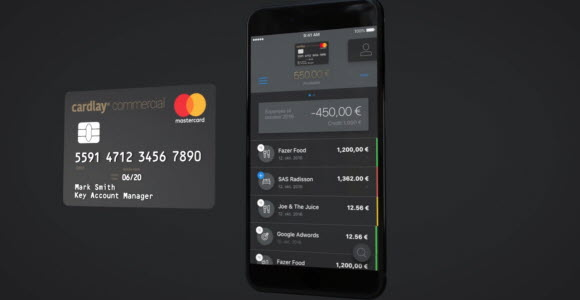 ”We see great potential to, together with Cardlay, be able to offer our corporate customers new features connected to corporate payments with the ambition to simplify their work and save them time and money”, says Mads Krumhardt, head of Corporate Segment at SEB Kort. Since the beginning of 2016, Cardlay has developed their Cards and Expense Management platform into a license model for banks. The platform provide banks with tools to optimise operating costs, set new digital strategies, and use big data to a larger extent to deepen relationship with and create added value for customers. ”These areas are of great strategic importance for us and Cardlay’s vision; to enrich every transaction and thereby improve companies’ processes and challenge the possibilities for automation and artificial intelligence, AI, aligns well with our own vision, to deliver world class service,” says Mads Krumhardt. The investment is a syndicate between SEB Venture Capital and SEED Capital, both active on the Nordic market. It is not the first time for the two investors to join forces on a fintech investment. In August 2016 they together invested 27 million Danish kronor in the Danish block chain supplier Coinify.